Ocean Outfitters is the perfect place to set off on all of your Tofino activities. Enjoy miles of spectacular scenery aboard our luxury covered boats, or for a real thrill jump aboard one of our Zodiacs and experience the wildside! From the safety of our boats you can respectfully watch Gray Whales, Humpbacks, Biggs Orca (killer whales), Black Bears, Sea Otters, Sea Lions, Coastal Wolves, Eagles and other Seabirds, all in their natural habitat—Clayoquot Sound. Our programs are not only a ton of fun, but they are also educational, and encourage ecological stewardship. 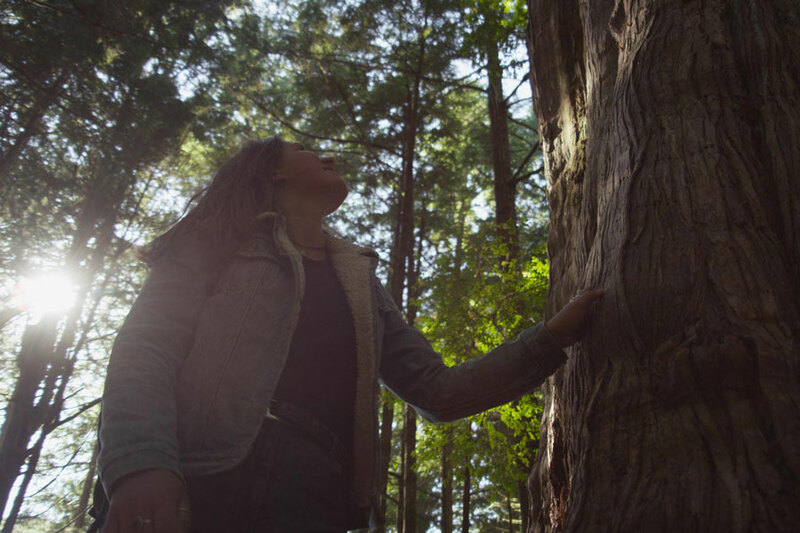 We are a certified green business committed to connecting visitors with nature and inspiring conservancy. All of our tours offer something truly unique, so find the best adventure for you! They spyhop, dive, breach and lobtail! View Bears in their natural habitat! World renowned fishing in Tofino! 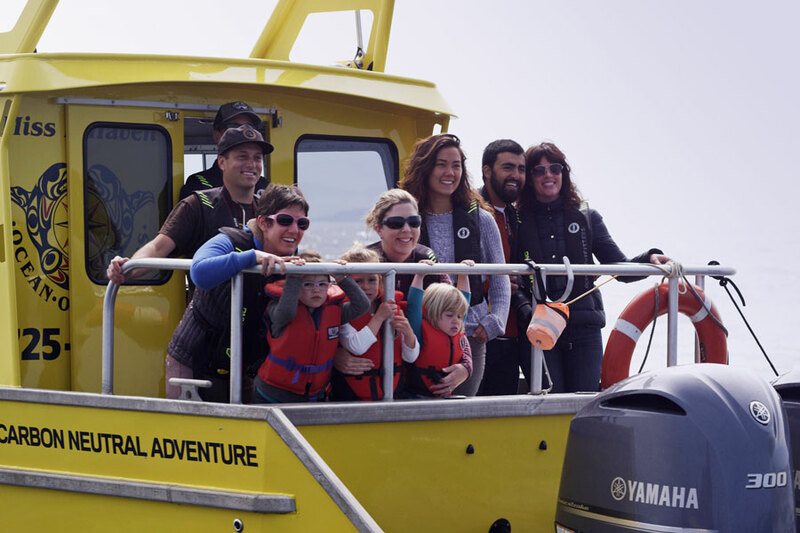 With fourteen amazing guides on the team, you'll enjoy every minute of your exciting ocean adventure in Tofino! Choose from one of our covered vessels or our zodiacs, depending on what is best for you. Deep respect for nature and ethical business practices are core values at Ocean Outfitters. We pay equal attention to our internal operations as we do to our responsibility to make a positive impact on the external environment. We offer multi-tour and group discounts. We’re happy to host schools, bus groups, special events and private custom charters. Dream up a Tofino adventure and we will bring it to life! Ocean Outfitters exceeded my expectations in every way. Highest quality equipment and boats, kind and friendly staff and the best ocean guide we could have asked for. Captain Ron was welcoming, experienced, informative and made the entire experience. He wants every guest to have the best experience possible, and works hard to find as many sightings as he can. Incredibly, we saw everything. Howling wolves, black bear, soaring bald eagles, grey whales, a puffin and the ever elusive orca - which was even more incredible than we could have imagined. Individually, these were each very special sightings. Together, they created a bucket list trip that will never be forgotten. Thank you Captain Ron! We are so grateful! We are coming back soon and can't wait for our next trip! "My group of friends went on 4 different excursions from ocean fishing for Salmon/Halibut, mountain lake fishing for cutthroat trout, whale watching, and spectacular hot springs leading into ocean. Each outing was better than the last as captains/guides were extremely knowledgeable about all wildlife and were always looking for ways to exceed our expectations. Front end office was excellent, with awesome staff and great storefront available for any additional needs. This company is by far the best in Tofino, and for that matter, anywhere I've traveled for outdoor adventures. Equipment and watercraft were outstanding for every outing and staff is dedicated to insure a wonderful experience for patrons. I'll definitely be back again-thanks O.O.!" "This trip was long overdue and while every day we commented that the day's experiences could not be topped along came ocean outfitters. The company is carbon neutral and displayed significant respect for the beautiful creatures we observed. We followed a pod of orcas from a respectful distance, saw sea sunfish, Eagles and whales feeding. The trip was supposed to be 2.5 hours long but with the agreement of passengers on the zodiac skipper Ron kept us on the ocean with memorable experiences to last a lifetime for a total of 3.5 hours all for the same price. Value, respect for nature , respect for the department of fisheries and oceans , excellent navigation skills and strong focus on safety." "There's nothing but awesome things to say about this outfit. From the conversation on the phone to the absolutely breath taking adventure, it was 100% satisfaction the whole way. I was seriously contemplating even going since I'm a scardy cat but the staff made me feel so relaxed and comfortable I actually stepped out of my comfort zone and had fun! These people are very experienced and knowledgeable people. I'm glad I chose Ocean Outfitters, they made our experience so much more." "My friend and I went on a bear watching adventure with Ocean Outfitters a few days ago. It was evident from the start the passenger safety is a key focus for this organization. We really appreciated how knowledgeable Captain Ron was and how respectful he was of every creature that we came in contact with. We learned a lot from him. We were very lucky to see bears, a mama bear and her cub and whales - it was magnificent! Although, we were informed that every day is different and they cannot guarantee what we would encounter, our entire trip was an adventure and well worth the money. We had smiles our faces the entire trip. We will be back again. Thank you!"